According to the latest data, India is home to 17.74% of the world population. India is also one of the youngest country in the world. By 2020, India will have the largest young workforce with 65% of population below 29 years, as compared to 37 years for China. This gives India a distinct advantage. Merriam Webster dictionary defines Sanitation as: “The promotion of hygiene and prevention of disease by maintenance of sanitary conditions (as by removal of sewage and trash)”. A study by World Bank’s Water and Sanitation Program has suggested that due to lack of adequate sanitation, around 40% children in India are physically and cognitively stunted. This is a direct threat to the future workforce of India and may cause severely negative economic impact including losing the edge India has over its competitors in terms of young workforce. Another study by World Bank suggests that lack of adequate Sanitation costs India around 6% of its GDP. Lack of adequate Sanitation impacts the lives of people in various ways. These impacts are classified below along with the associated economic aspect. Health related impacts include deaths (especially those of children) due to diseases caused by inadequate sanitation, the cost incurred in treating the diseases caused by inadequate sanitation and also the productivity losses (for the business) due to a worker falling ill. When the families have to take care of one of their sick member, there is loss of productive time. Impacts on use of Domestic water include the need for getting the water from a far off source as the source closer to the household may have contaminated water due to inadequate sanitation. It also includes the need for treatment of drinking water to make it germ free before consuming. In some cases, it may force the families to switch to bottled water, thus incurring additional cost. Impacts on lost time and safety: Accessing the open-defecation sites (generally away from the households) needs effort and time. Also there are safety concerns associated with it due to presence of anti social elements. Impacts on Education and Tourism: Tourism benefits all sections of society either directly or indirectly. No tourist wants to visit a place that is not clean and considered a health hazard due to lack of adequate sanitation. Lack of adequate sanitation results in loss of tourism revenue. Lack of toilets in schools results in girls dropping out and discontinuing their education. Thus impacting their future. Governments in India have been running various programs to improve the Sanitation coverage of households since 1980. 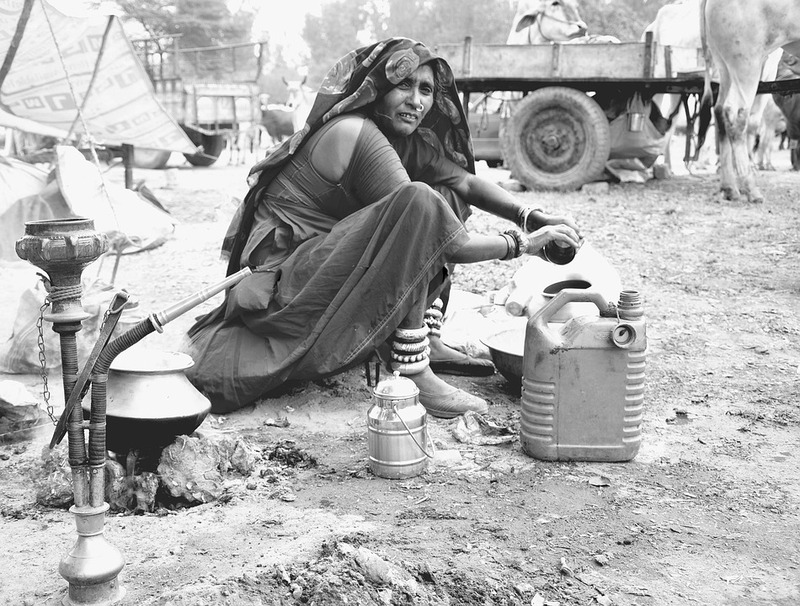 In 1986, the government started a program called Central Rural Sanitation Program that was aimed at providing safe sanitation facilities in the rural areas. This program provided subsidy to people for construction of toilets. While running this program and with further studies and observations, government realised that merely subsidising the cost of constructing sanitation facilities will not fetch the desired result. It needed awareness and change in the old habits of people. In 1999, changes were made to the Central Rural Sanitation program and it was renamed as the ‘Total Sanitation Coverage’ program. The program had a target of accelerating sanitation coverage in rural areas through access to toilets to all, by 2012. The effort made little progress and in 2012, it was renamed as ‘Nirmal Bharat Program’ and the target for achieving total sanitation coverage, was moved to 2022. Changing ingrained habits and behaviours of a society needs more than subsidies. Individuals needed a nudge to change their behaviour to achieve the target of total sanitation coverage. With awareness campaigns it is possible to make people understand the benefits of cleanliness, but, they needed to be convinced (nudged) to voluntarily take the decision that is good for the society. Earlier programs did not take into account the need for this nudge. The program to achieve total sanitation coverage needed awareness campaign and an influencer that could nudge individuals to act in a manner leading to personal and social good. 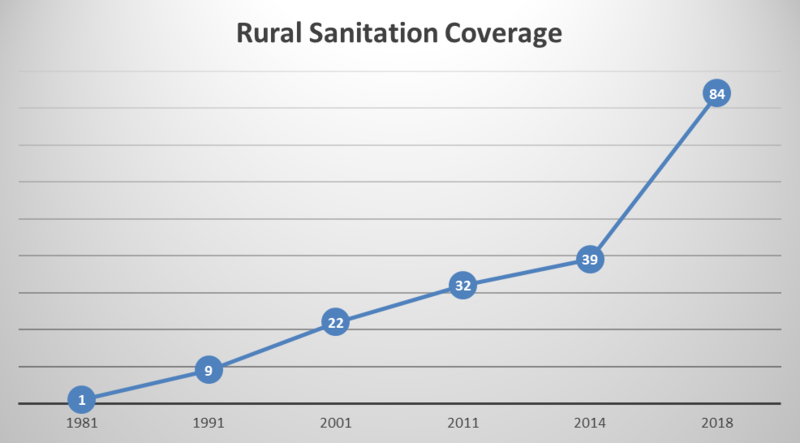 Sanitation coverage in rural India stood at 39% in 2014. 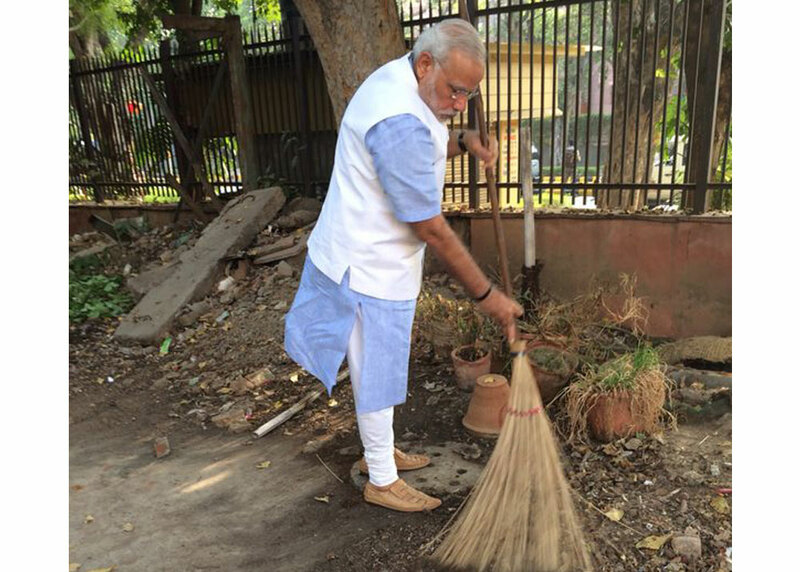 After Swachh Bharat Mission was launched on 2nd October, 2014, a lot of progress has been made. PM Narendra Modi acted as the influencer and has very actively persuaded people to take Swachh Bharat Mission beyond a government scheme and make it into a people’s movement. This has resulted in record growth in rural sanitation coverage across India. As part of this program, a huge number of volunteers have been created. These volunteers include common people and some celebrity influencers as well. These volunteers have helped spread the message of sanitation, thus creating the public awareness and energy needed to make a program like Swachh Bharat, successful. The Economic Survey 2017-18 tabled in the parliament on 29th Jan, 2018, talks about a pilot study conducted by Bill & Melinda Gates Foundation (BMGF) in chosen ODF (open defecation free) and non ODF districts to understand the impact of sanitation. The study estimated that households in ODF villages have significantly better health indicators. Swachh Bharat Mission has undoubtedly improved quality of life for people. From reducing drinking water shortage to severe decline in health issues, there are many such benefits that have been reported. This article explains how the Adivasi Raj Gond families of tiny Mohanguda hamlet in Adilabad district of Telangana have been benefited by Swachh Bharat Mission. Odisha has reported a steep fall in most of the water borne diseases in last 5 years. It is worth noting that the rural sanitation coverage of Odisha on 2nd October, 2014, was 11.75%. As of 27th May, 2018, that has increased to 55.17%. In the beginning of this post, I referred to the World Bank report that talks about physical and cognitive stunting of children due to lack of adequate sanitation. This article talks about the Mizoram success story in reducing child malnutrition and the role improved sanitation coverage has played in it. As per the 2018-19 budget presented on 1st Feb, 2018, INR 2.95 lakh crore has been allocated for Defence. This amount turns out to be around 1.58% of India’s GDP. The amount allocated for education is INR 85,010 crore which turns out to be 0.45% of India’s GDP. If India could prevent even one third of the losses caused by inadequate sanitation, we will be able to double our spend on Education and Defence. The money could be used to create world class infrastructure or to promote more R&D. There are myriad ways the savings can be used to propel India further on the highway of development. Lack of adequate Sanitation threatens the future of India. By making Swachh Bharat a people’s movement, government has ensured active involvement of people in solving people’s problems. With more programs like Swachh Bharat, India as a whole can be transformed into a truly responsible society that cares about its habitat. ← Is Data Really the New Oil?